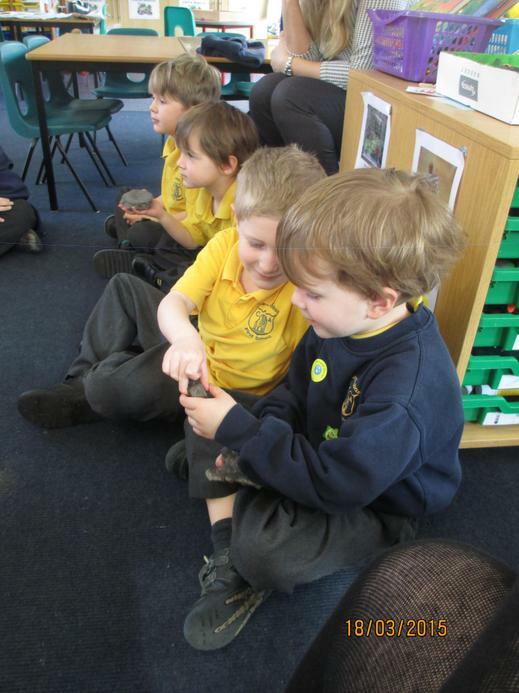 Visit From a Dinosaur Enthusiast! 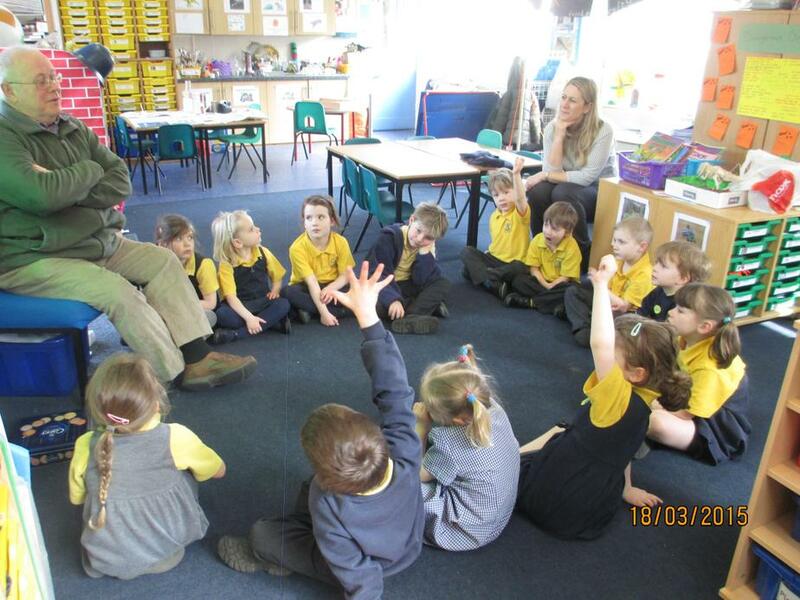 Today we were very lucky to have a visit from Mr Christian, a very keen dinosaur enthusiast. 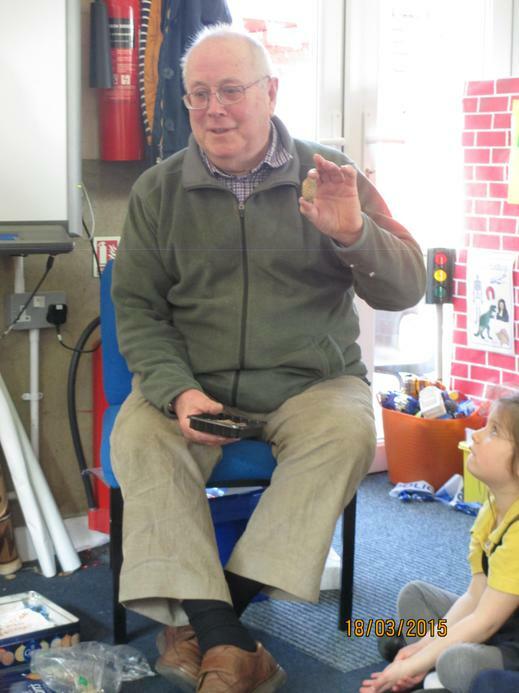 He came in and talked to us about his visit to the Badlands in Canada where he got to see Palaeontologists digging up fossils and real fossils still in the ground as he walked around the site. 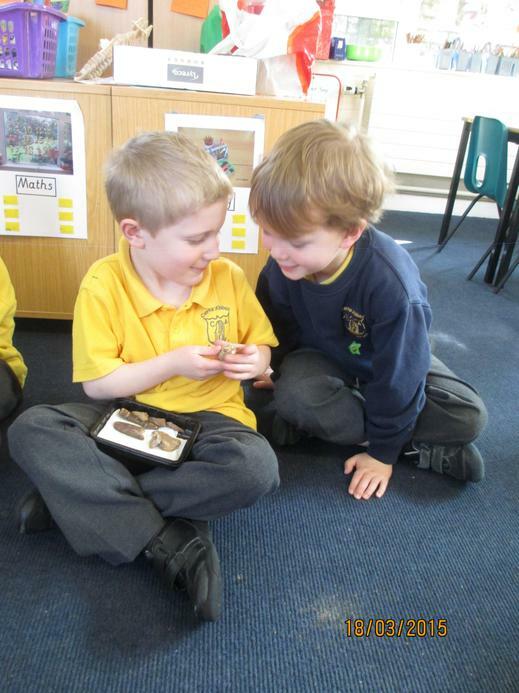 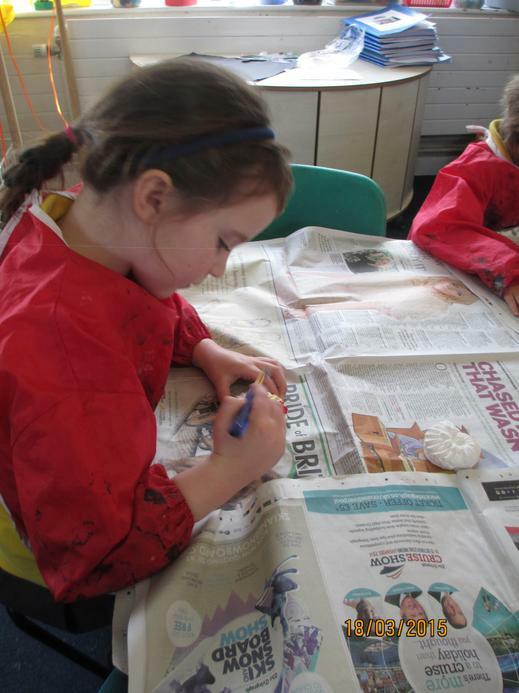 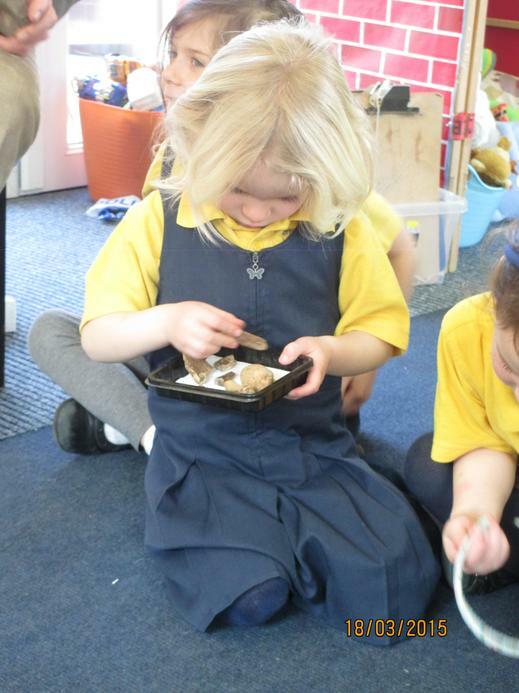 The children enjoyed looking at his pictures and were excited to hold some real dinosaur fossils! 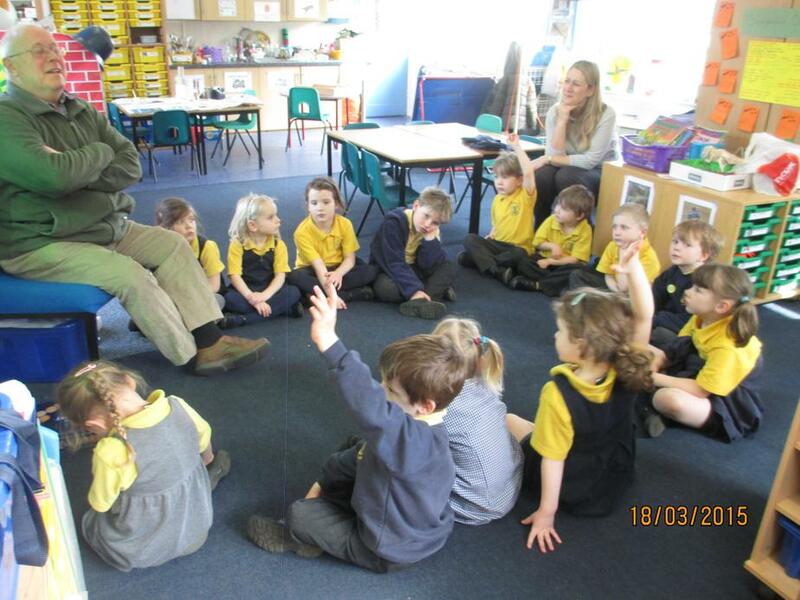 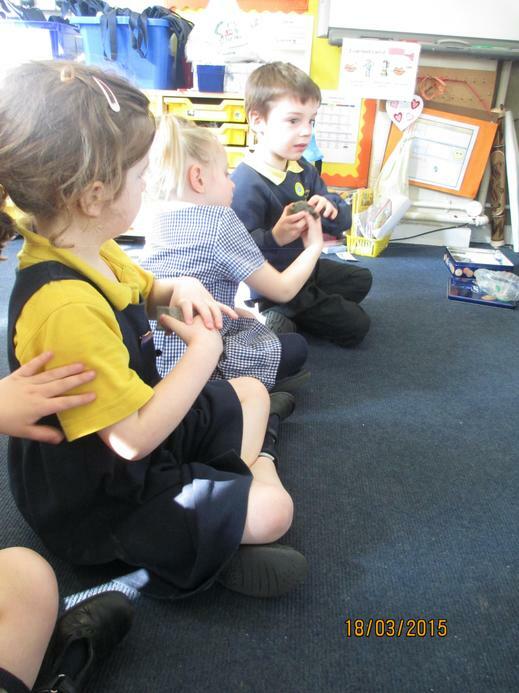 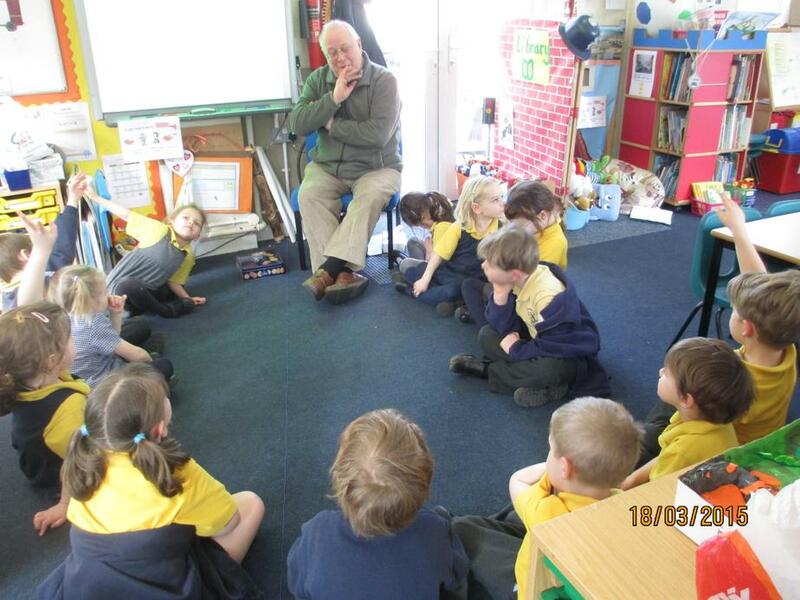 Giant Class were very keen to teach Mr Christian some facts which they had been busy learning too. 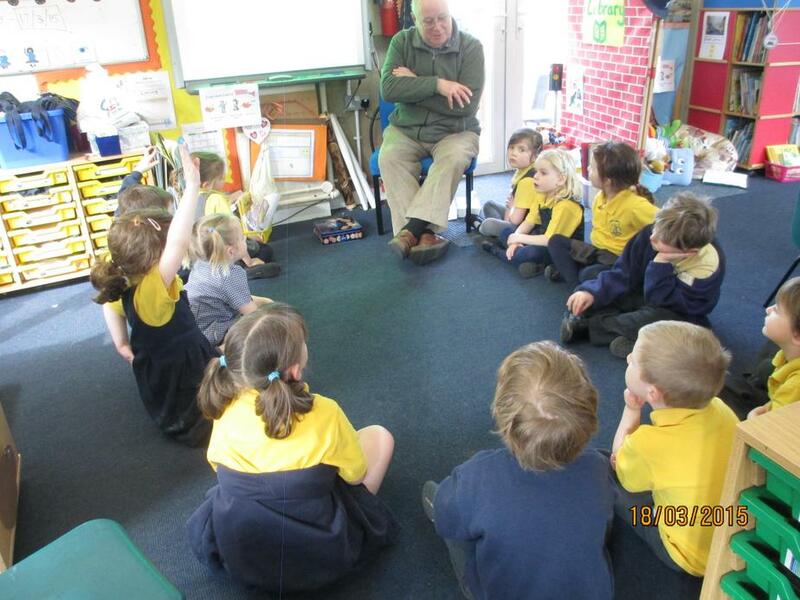 Thank you Mr Christian for helping us to learn. 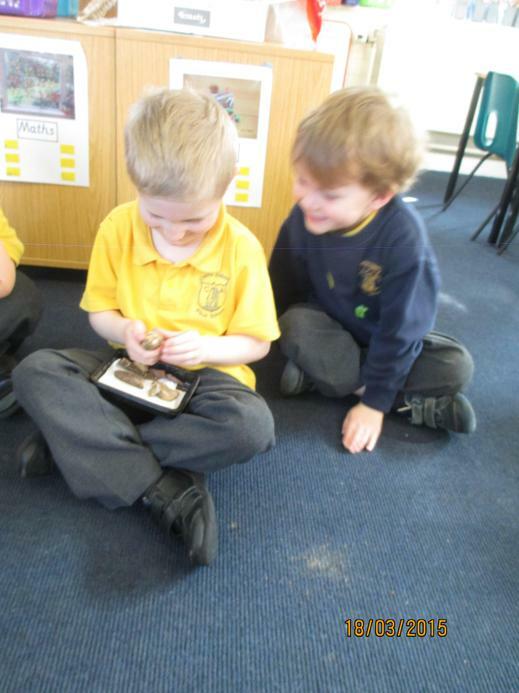 In Literacy this week we have been learning about how to find out information about dinosaurs, we have been using non-fiction books and the internet to learn more about dinosaurs. 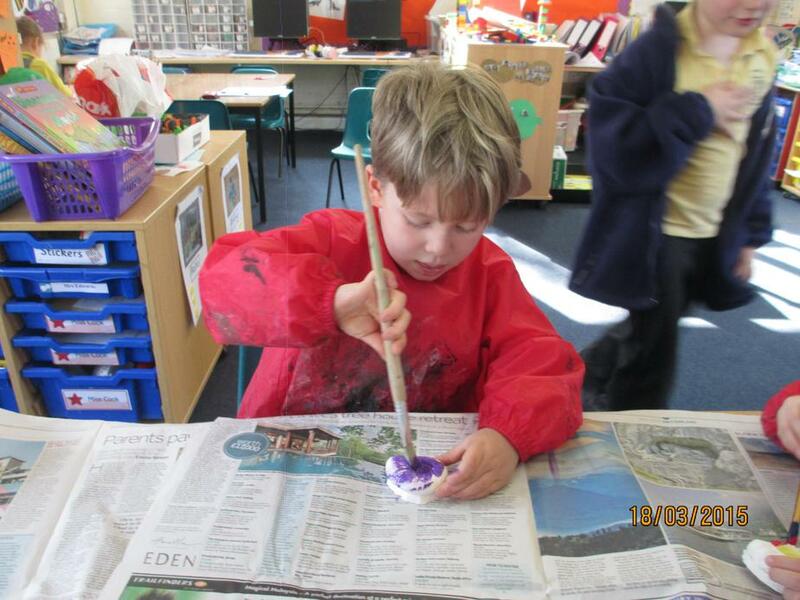 Giant Class have been writing their own information books this week, they hope to show them to their parents/carers next week in our Learning Exposure. 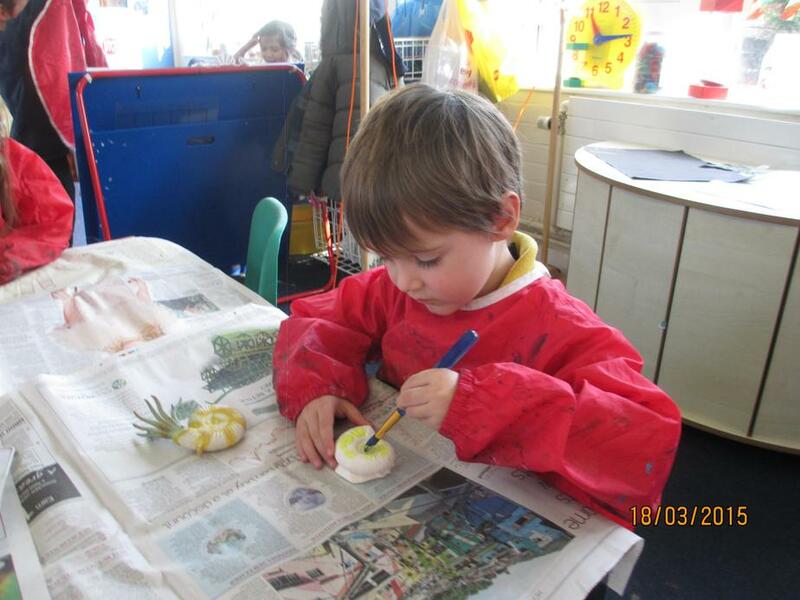 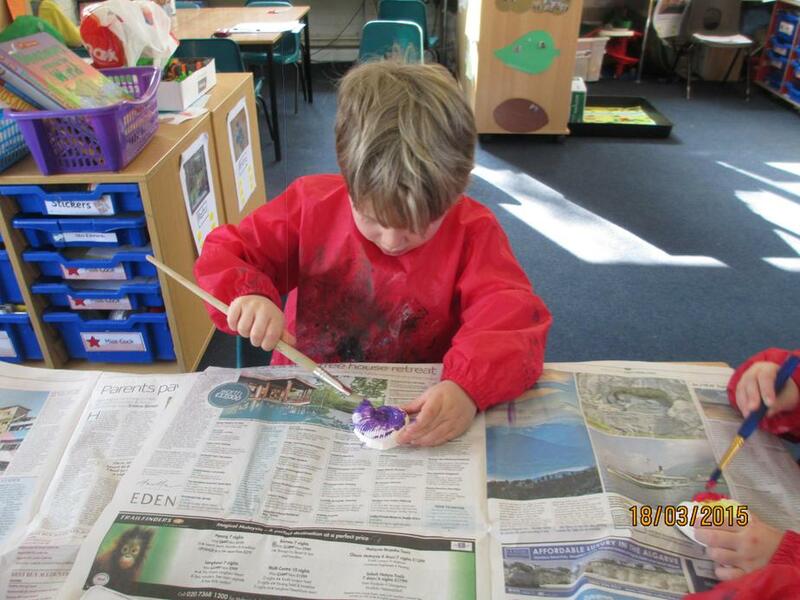 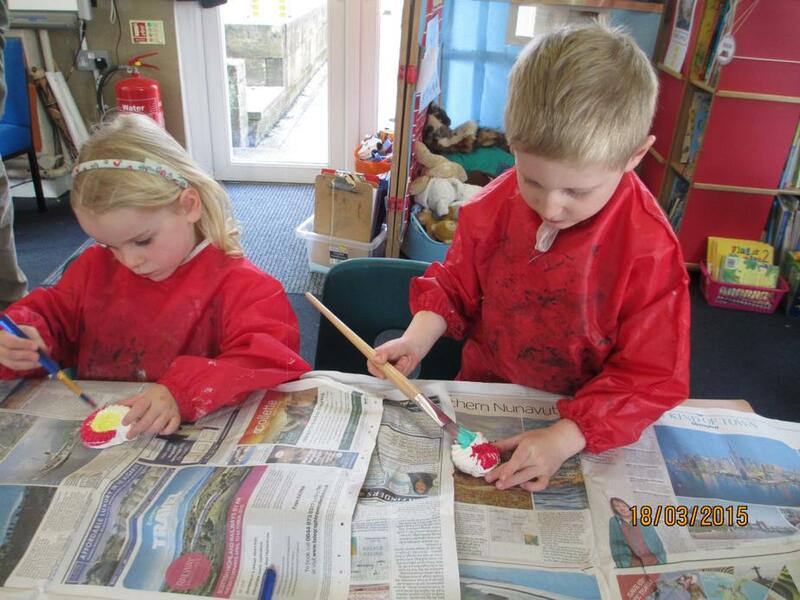 In Maths this week we have been learning about 3D shapes - why not try having a 3D shape hunt at home? 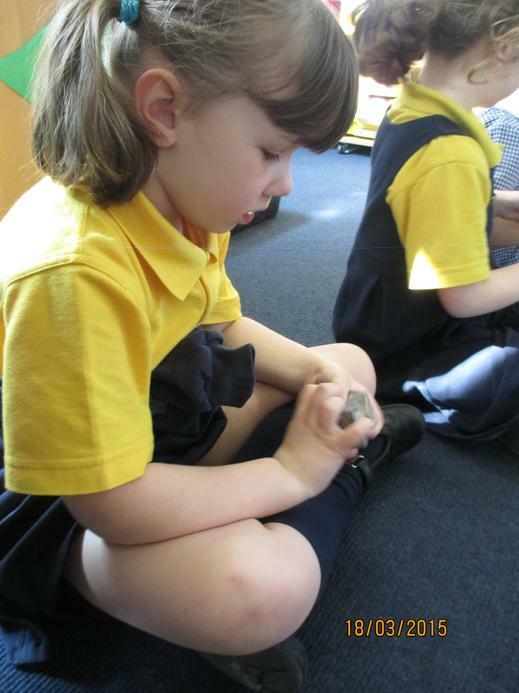 I think you would be surprised at the shapes Giant Class have learnt!